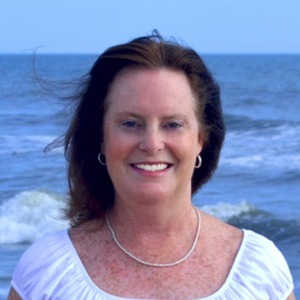 Darlene has lived in Sandbridge for 20 years, and has worked with Siebert Realty since 2004. She loves helping others reach their dreams of owning property in Sandbridge, the beautiful community she calls home. A native Virginian, Darlene was born and raised in Portsmouth. She studied Communications at James Madison University, and worked in marketing and public relations for 15 years before joining Siebert Realty. Darlene was formerly public relations director of an advertising agency, and communications manager for the Hampton Roads Realtors Association. It was this job that sparked her interest in real estate. Her knowledge of Sandbridge and her marketing background give her the tools to help buyers and sellers meet their real estate goals. Darlene lives in Sandbridge with her husband Mike and children Emily and Brian. Darlene’s mother-in-law, Bev Kwiatkowski, is also a Realtor with Siebert Realty. Darlene is active in the community as a volunteer with the local school PTA, Tabernacle United Methodist Church, Sandbridge Tennis Association, and the Sandbridge Volunteer Rescue Squad Boosters. In her spare time, she loves nothing better than spending the day on the beach with family and friends, and watching the sun set on Back Bay.